Avoid circularity. Since the primary purpose of a dictionary is to inform the reader what words mean, anything that absolutely denies the reader the opportunity to find out the meaning of a word he has looked up is the most serious defect a dictionary can have. Mind you, circularity does not just make things difficult - it makes them impossible. No amount of diligence on the part of the reader can penetrate the barrier of circularity. sm (der regressiva de despachar) 1 Ação de despachar. (provençal despachar) vtd 1 Pôr despacho em, deferindo ou indeferindo: Despachar uma petição. I guess the editors of the Michaelis didn't read Landau, then. Ha! Having been involved in dictionary publication (in Longman Dictionaries, UK) I have some inkling of what a staggering complex process it is, so I am not surprised this happens from time to time! Longman avoid this by using a "defining vocabulary", comprised of a fixed vocabulary of 2000 words - and these are the only words allowed to be used for the creation of definitions. Of course, then it is much easier to ensure that these 2000 words are themselves defined in a non-circular! However, these are learner's dictionaries, so the simplified definitions are appropriate - still, there might be a principle there that could be used for "full" dictionaries too. P.S. Erm, spot the mistakes in that previous comment. That's what I get for hurrying! 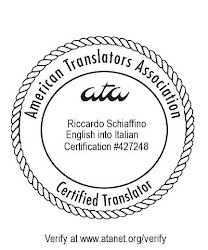 A translation giant in trouble?